Any company that is looking to reach international markets knows the first step is to translate content into the language of the target audience. But is that enough to impress your new potential customers? The answer is most likely “no”. Whether it’s an app, product packaging, or technical user guide, a mere translation of the content will not attract customers and can even result in a PR disaster. There are many reasons customers choose to purchase a product or service which go far beyond whether they can understand the language. Many of these are cultural factors that are not taken into account in word-for-word translations. That’s where localization comes in. Understanding the difference between translation and localization can be crucial in the success of your business as you expand across borders. Knowing the skills required to do each can also help when searching for the right partners to internationalize your brand. Translation is simply substituting words from one language to another. This is often the result of a machine translation or working with a translator who studied a language academically but has had limited interactions with the people and culture of that language. Localization involves a much higher level of cross-cultural competence. This can include being aware of sensitive subjects, culture-specific phrases, colors, images, and other content that may not be appropriate or make sense for the local market. In addition to cross-cultural competence, localization also requires a deep understanding of cultural and linguistic nuances. Being aware of these nuances can make or break your brand. One famous example of a translation-gone-wrong is when Coca-Cola first started marketing in China using a name that was often misinterpreted as “Bite The Wax Tadpole.” Although the name was phonetically similar to “Coca-Cola”, the tones of the four Chinese characters used were often misconstrued. After further deliberation, the marketing team came up with a similar sounding combination of Chinese characters meaning ‘delicious happiness’ which was later made the official Chinese trademark for the brand. These types of mistakes are often made by companies trying to go global but with little background knowledge about the culture and language of their target market. This is why it’s important to find local partners and skilled professionals to handle your translation and localization needs. The only time translation is acceptable is when you need an instant solution that will get your basic message across. For example, translation apps are becoming more popular and can be helpful when traveling or for looking up individual words. However, they should never be used for marketing or creating content that will be viewed by a broader audience. Using these types of apps for branding purposes is unprofessional and can even damage your company’s reputation. This is also true when creating your marketing strategies. Just as you would use different marketing channels to advertise your product in China than you would in Mexico, it is also important to localize content so that it is both linguistically and culturally appropriate for your intended audience. Our world is quickly becoming smaller. Globalization has increased thanks to the internet, new developments in the logistics industry, and free and open trade policies. Translating and localizing your content helps reach new audiences and markets, which can increase profits and revenue. Expanding your business internationally can increase brand recognition and give you a competitive advantage. Making the decision to go global can be a game changer for your business. 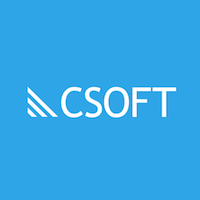 How can CSOFT help with my translation and localization needs? Our Global Communications Team is experienced in translation, localization, and content creation. Our team of expert writers can help you to overcome the challenges of creating content that will resonate with current and potential customers alike. Our team is entirely made up of native English speakers to ensure that the language and tone of our content is not only of the highest-quality, but also culturally fluent to deliver the greatest impact for your brand. Whether it is an app, marketing material, or technical documentation, our content specialists are experts in knowing your audience and developing the right content to target them. What kind of content can CSOFT create for me? Do you have questions about translation, localization, or the services our Global Communications Team can offer? Call us at +1-415-889-8989 in North America, +86-10-5736-6000 in Europe and Asia, or contact us here.